After 18 months of construction, this iconic Vancouver bridge was reopened on October 21, 2017. At a cost of $35 million, the redesign shows a major improvement in safety function of the bridge and northern intersection following a Complete Streets approach. 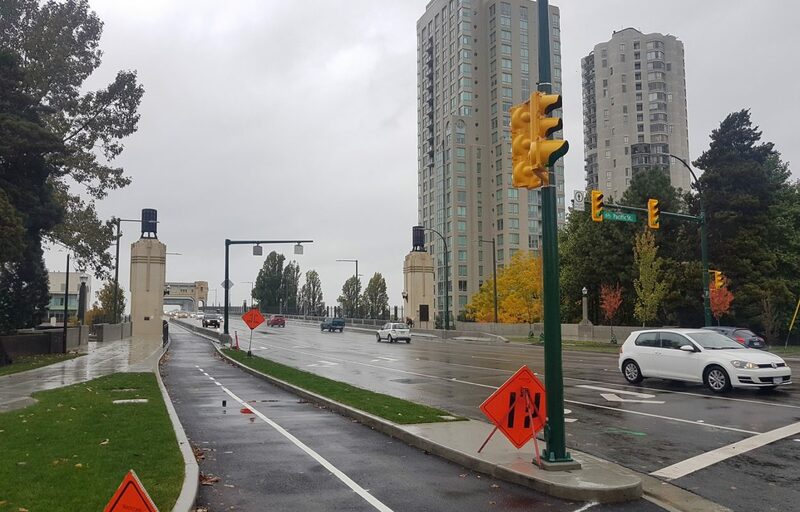 Specifically, the changes on the bridge included the removal of a southbound motor vehicle lane on the bridge to provide two-way separated bike lanes and sidewalks on both sides of the bridge, as well as the installation of new lighting and 60 new trees. To learn more about this major redesign, click here.